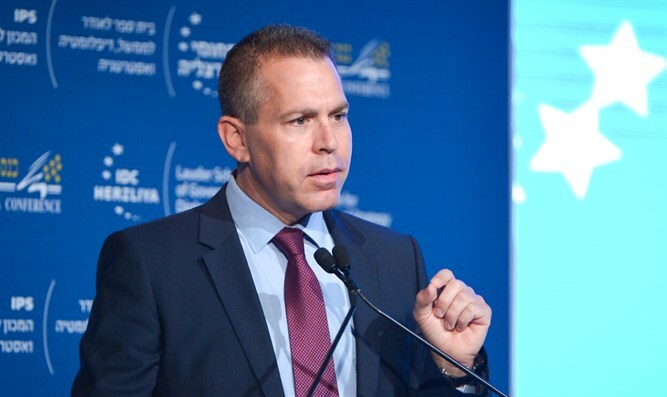 Internal Security and Strategic Affairs Minister Gilad Erdan (Likud) criticized the media for its coverage of alleged 'religionization' in the education system and expressed his support for the study of Jewish identity in Israeli schools. In an interview with the Mishpacha newspaper, Erdan was asked whether there is a future for Israeli society when it is cut off from Jewish values. "I have said this since my first day in politics: this separation is no less than a moral disaster. Every time I hear the media complain about 'religionization' I want to shout." "When I hear this I feel my insides turn. I cannot understand what those who shout 'religionization' think is the essence of our presence in this country. Why is it that when terrorists attack - they specifically choose Jerusalem, in the area of the Temple Mount? The reason is that they understand - unfortunately they understand better than many people in Israeli society - why we are here and on what basis we live in this country. According to Erdan, "It is not because of secular Zionism, because Ben-Gurion also understood where the story of the Jewish people began: from the Temple Mount, from the place where the Almighty decided that here should be the place of the Jewish people." He stressed that these are exactly the things that Israeli children need to learn in the education system. "If the younger generation does not learn it, will not know it and will not understand it, it is clear that there is no chance that we will survive here for a long time. You can always find an easier place to live with fewer threats."